This is the only place you will find this packaging in North America. 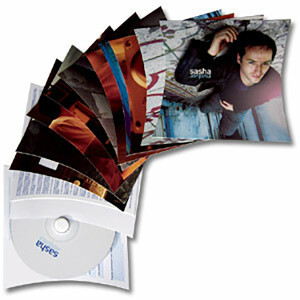 The CD comes in a Rectagular box and instead of a booklet there is a separate card for each of the tracks liner notes. Click on the image on the left to see the inserts. Every track on the album is an original Sasha remix, re-creation or production recorded exclusively for this project and crafted with his signature adventurous sensibility. 04. UNKLE: What Are You To Me?